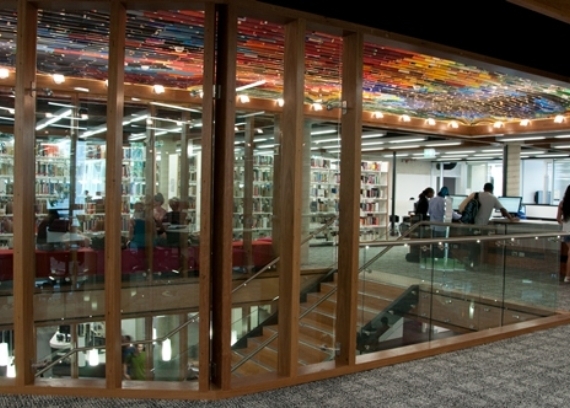 The existing library was refurbished to create new spaces for student study, book collections, meeting rooms, training rooms and new student and library service areas. 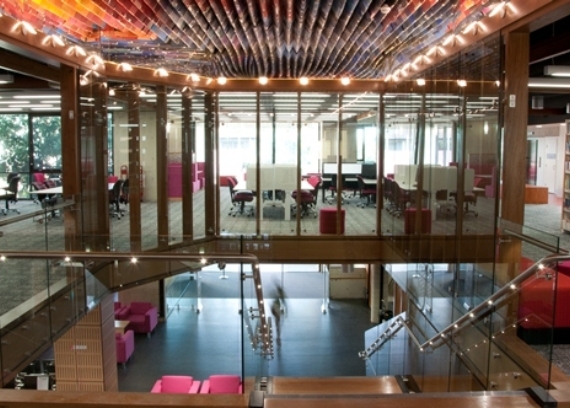 The construction consisted of the refurbishment of 6 storeys of the existing library and the integration of an adjacent training and office area to the new refurbished space. 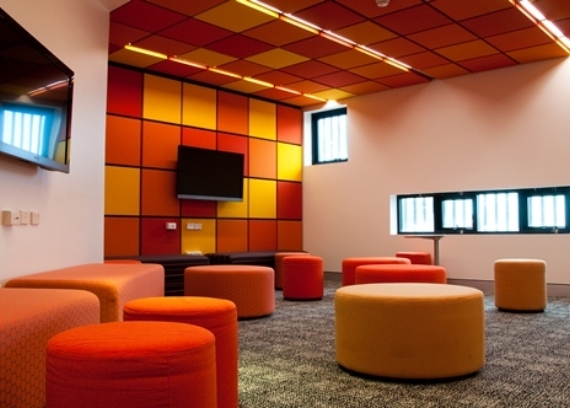 In addition to the refurbishment works a new 5 storey extension was constructed which incorporates the library entry, Wii Room and external study space. The construction works were staged to allow continued library services to be delivered and ensure staff and students could access the library during the construction activities.